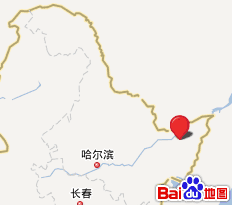 On 21 March, four Chinese human rights lawyers and others were detained by police after trying to investigate a "legal education center" in Qinglongshan State Farm, located in northern Heilongjiang Province near the Russian border. Earlier today, it was confirmed that two of the lawyers, Jiang Tianyong and Tang Jitian, were given 15-day administrative detentions for "using cult activities to endanger society." 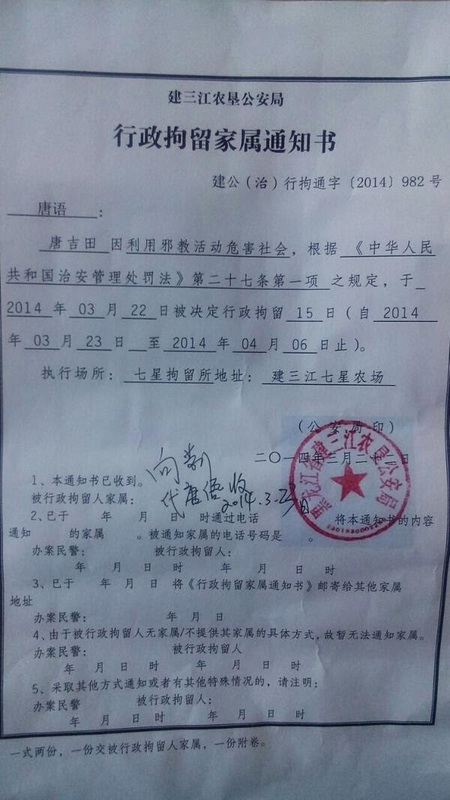 The status of the other two lawyers—Wang Cheng and Zhang Junjie—is, at the time this is being written, unclear. Presumably, because one of the primary functions of "legal education centers" like the one the lawyers were investigating is to detain members of "cult" groups like Falun Gong, any attempt to challenge the use of such measures is seen as "cult activity." As lawyer Li Fangping wrote in response: "Rights-defense lawyers who handle cases of what the authorities call 'cults' are themselves being 'cultified.' This is a new development and a new challenge." Li has also submitted a formal "open government information" application to authorities in the Jiansanjiang Agricultural Reclamation District, requesting details on their use of "legal education centers." Police in China have broad powers under the Public Order Management Law and Public Order Management Penalty Law to detain individuals for up to 15 days on a variety of charges without the need for any review from a court or other authority. Technically, it is possible to challenge such detentions by requesting administrative review or filing an administrative lawsuit, but it is practically difficult to do so from behind bars. It's possible to request that a detention be postponed pending the outcome of such a challenge, but, again, police have discretion to decide this based on whether they think the individual will continue to be a harm to society. So, basically one has little option but to serve one's time in jail first and pursue remedies later. Today, lawyer Cai Ying and other lawyers travelled to the Jiansanjiang Agricultural Reclamation District to intercede with public security officials. They were expected to have arrived around 7 p.m. Lawyers and others are telephoning and sending text messages to police officials. A campaign to raise funds to support those who have gone to Heilongjiang to rescue the lawyers has so far raised over 20,000 yuan. Meanwhile, rights lawyer Teng Biao is encouraging concerned individuals to participate in organized "online flash mob actions" to protest the lawyers' detention.